Mysterious Occult Traditions of the Underworld! 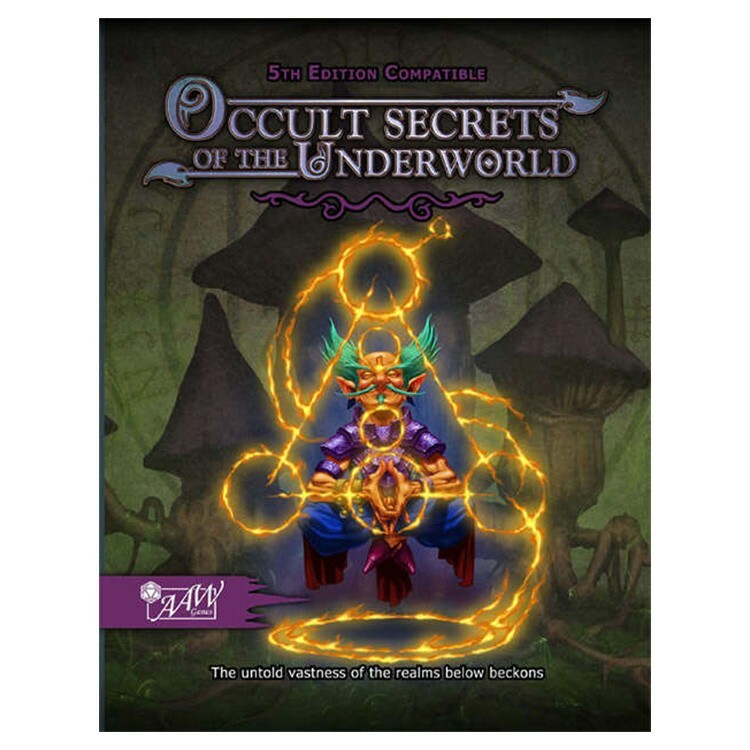 The untold vastness of the realms below beckons, and for the first time, we unearth the mysterious occult traditions of the Underworld. Surface-dwellers can finally lay their eyes upon the concepts of the Red River that binds all, attain amber enlightenment and transcend the bounds of the flesh with unique and potent magitech. Psychic poisons, mesmerizing spores and the damned of Hel await your command! After the success of the critically-acclaimed Underworld Races and Classes, fans asked for more, and thus, we present you with a collection of complex and evocative class options for the subterranean races you know and love. Within the pages of this massive expansion tome, you will find the means to play: Ahooling living vampires, seeking to understand the Red River that binds all through righteous bloodshed; Heralds of the colloid, colliatur creating footholds for the strange entity; Messiahs of Ashes, dødelig who seek to teach undead the bright side of death; Draaki scoured by the Wind of Wasting, reincarnating upon death into other subraces; Drow capable of poisoning the minds of others with their psychic might, with custom poison-creation; Dvergr occult executioners of the grand void of the endtimes; Speakers for the revered dweorg ancestors; Mighty funglets capable of controlling their spores, mesmerizing their foes; Perfidious gitwerc that drag the damned souls of Hel to the battlefield; Hoyrall attempting to unify their sundered deity…using their very minds and bodies as a catalyst; Kraidyl that channel the potential for the next evolutionary step for this race of apex predators; Svirfneblin Transgnomamists, who transcend the limitations of their bodies with strange and potent svirftech; Vestraadi singers of the deepest hymns, explorers of fathomless depths; And last, but not least, Zwerc that follow the path to amber enlightenment! All this and more can be found within these pages!